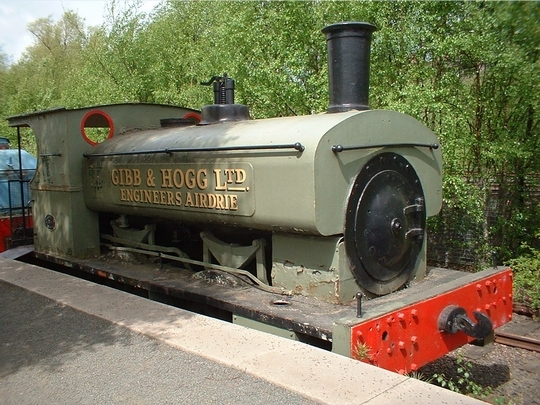 The works plate. 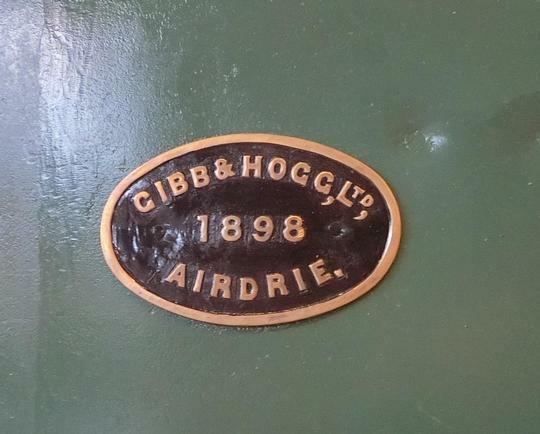 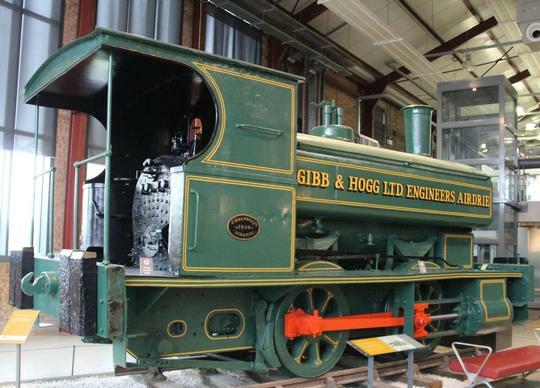 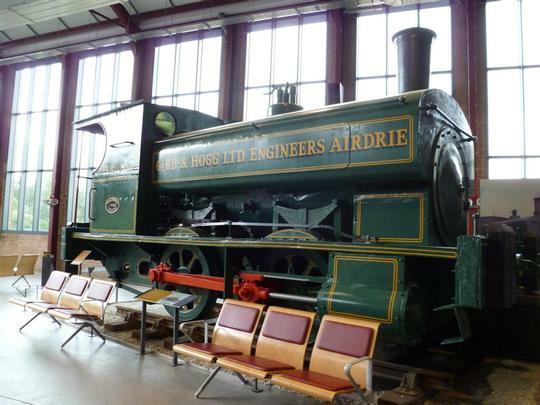 This is quite a rare one, as Gibb & Hogg built locomotives at their Victoria Works in Airdrie from the 1890s to 1912 when the works closed, They built about 20 locomotives altogether, mostly four-coupled saddle tank engines. 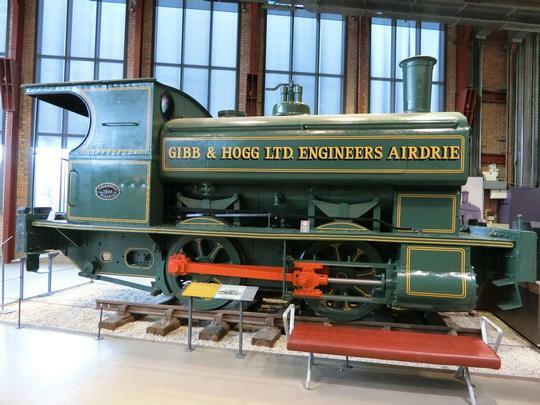 Every inch the classic Scottish 'Pug', but by Gibb & Hogg of Airdrie. 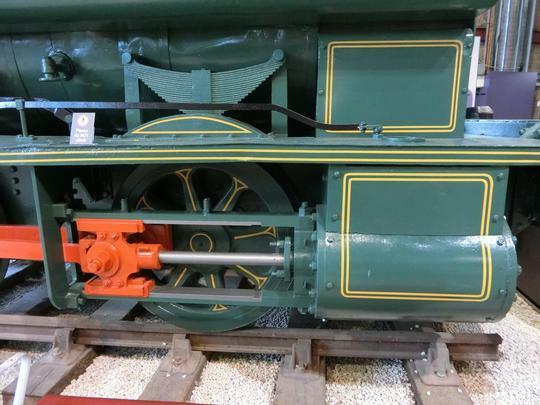 The outside cylinders are low mounted and horizontal. 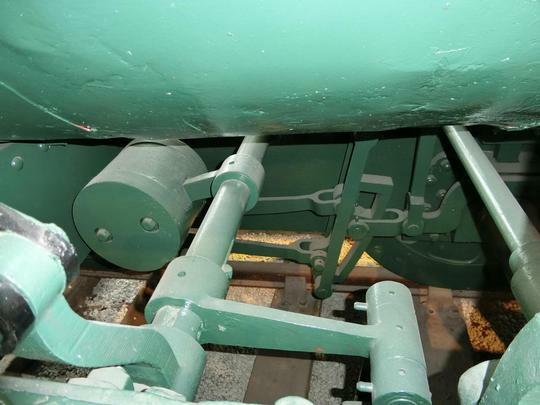 Stephenson link valve gear between the frames.